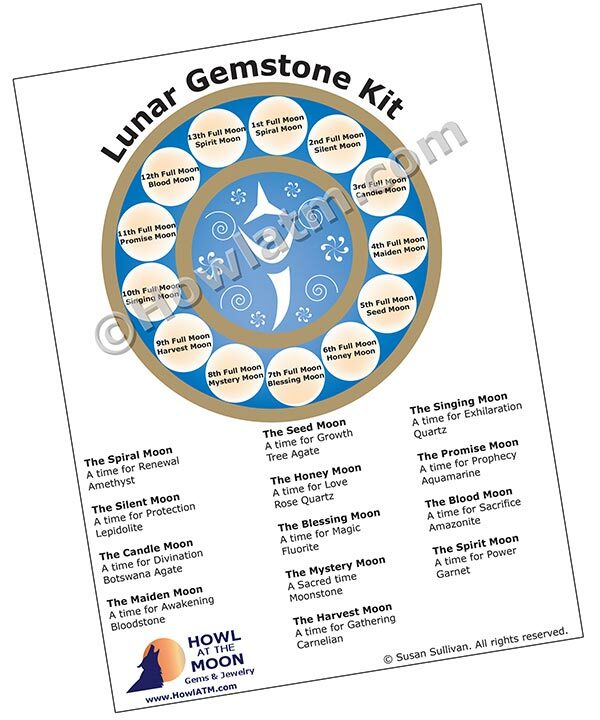 This Full Moon Gemstone Kit comes with a use chart and 13 stones for 13 moons. 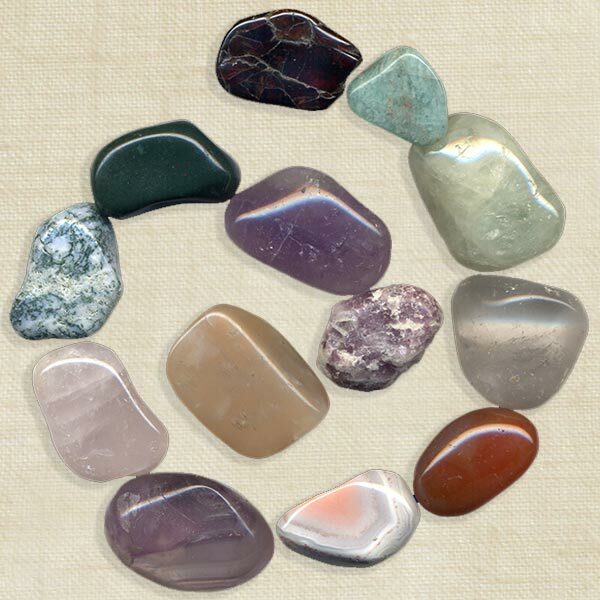 Included in the kit are 1 each of: Moonstone, Lepidolite, Amethyst, Bloodstone, Tree Agate, Rose Quartz, Fluorite, Botswana Agate, Carnelian, Quartz, Aquamarine, Amazonite and Garnet. I hand select each gem in the kit and they arrive in their own velveteen pouch. Please allow several days for me to charge and balance the stones in your kit.